We invite you to browse through our product portfolio and compare it against the competitors. We are sure you will agree with us that there is simply no comparison. Alazar Technologies Inc. is an ISO 9001:2015 certified company. From design to delivery, the main goal of AlazarTech employees is to meet and exceed customer expectations. 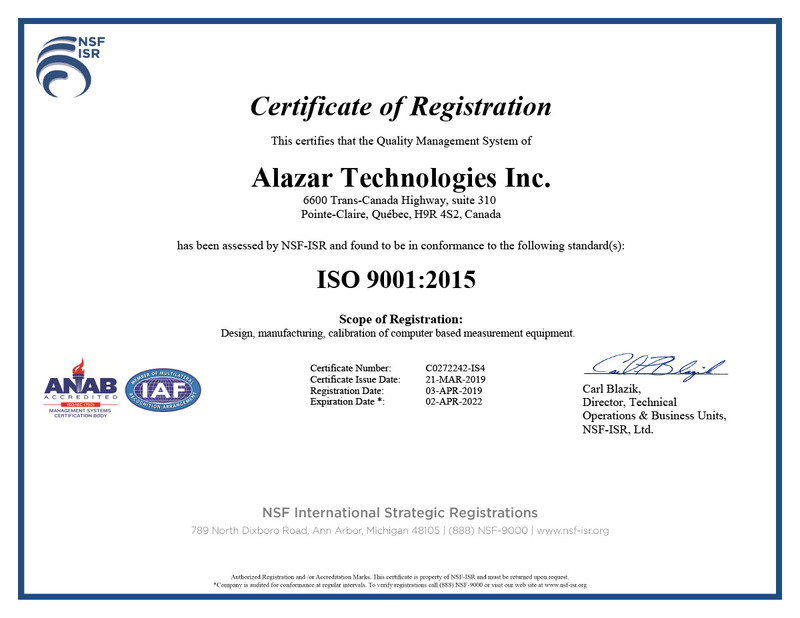 Alazar Technologies Inc. has been certified in March 2019 by an independent auditing agency, in meeting the requirements of ISO 9001:2015 certification in design, manufacturing, calibration of computer based measurement equipement.